Brother Steve has been to Zimbabwe several times, and other nations in Africa. While Africa is a great and beautiful land, the overwhelming need is for clean drinking water. 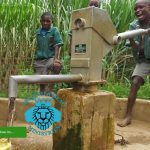 The water conditions in Africa is serious, our article on the top five reasons for clean water in Zimbabwe and Africa explains it all. What we want to do is assist villages who are in need of clean water with water wells, and the 1st Annual Clean Water Concert for Africa is our start. We are going to host a clean water concert with top of the line musical artists who are very supportive of the mission to provide clean water in Africa also. Preacherhead Ministries has been to Africa. We need your support. Come to our 1st Annual Clean Water Concert to learn more about the project, and also to enjoy great musicians and just a wonderful show. We thank you and love you and hope to see you on March 15th at the DuSable Museum in Chicago! We’re thanking you right now. Thank you Oscar and Joyce, God bless you for everything!